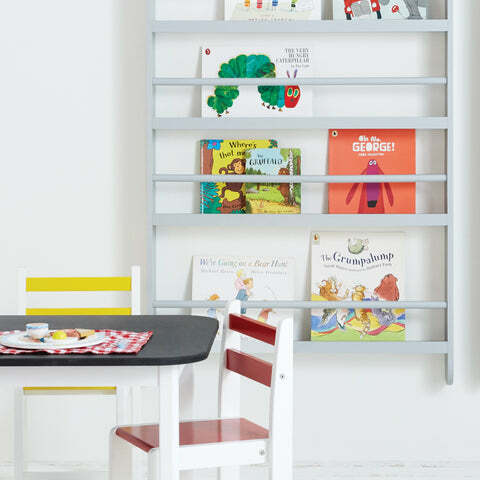 Greenaway Skinny Bookcase, White/Natural | Great Little Trading Co.
Our wall mounted bookcase displays the front of the book rather than the spine, so it’s easier for early readers to find their favourite; it's a great space-saver and a stunning wall feature, thanks to the lovely mix of crisp white and natural wood. 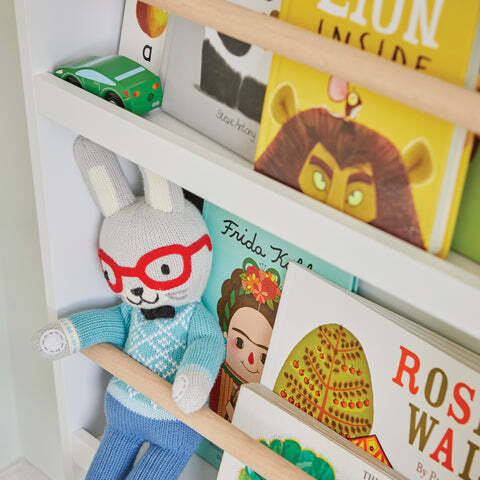 It's made from sturdy MDF to make sure it'll stay the distance; when they grow out of picture books you can turn it into a home for soft toys, comics, theatre programmes or any other precious mementoes. 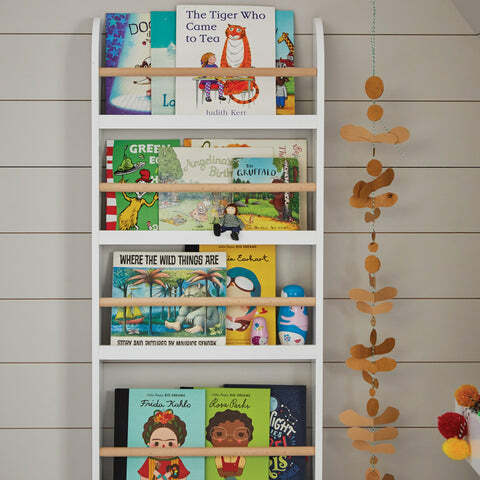 For other wall mounted storage ideas have a look at our full range of Wall Shelves; for free standing book storage have a look at our full range of Bookcases.